Is it all starting to come apart for the Rays? 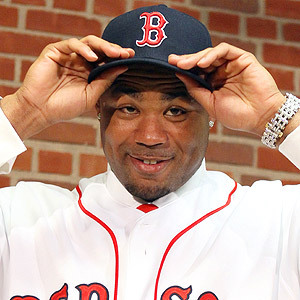 We knew that one of the faces of the franchise, Carl Crawford, was gong to end up on the DL after an injury to a finger. Now defensive AND offensive stud rookie Evan Longoria will be joining hm on the 15 day disabled list, after Longo took a pitch to the wrist, resulting in a slight fracture. The question is, should we begin to panic? This isn’t the first time where the Rays have had tough circumstances regarding the unavailability of players. 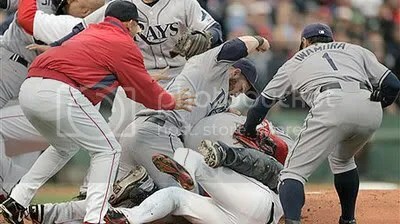 The classic Rays – Red Sox brawl back in June resulted in 5 suspensions for the Rays. Navarro, Kazmir, Pena and Bartlett have all had a stint on the DL this year also. So, while it may be tough that it is two of the most marketable, and well, most exciting players, its time for the bench to step in again to deliver the Rays. Most notably, you KNOW that Dominican utility man Willy Aybar is ready to play any position. 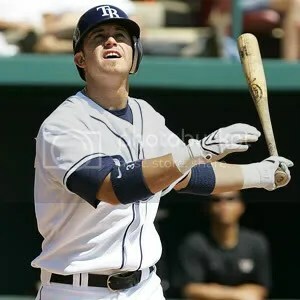 He has been used to plug up any holes in the infield the Rays have had, playing four positions in the infield. He also provides a clutch, opportunistic offensive threat. The same thing with Ben Zobrist, who has recently proved he can also play outfield, though it will probably be Eric Hinske and Gabe Gross out in left. Don’t forget the return of Rocco Baldelli in right field, as he has slowly been able to recuperate from a diagnosed mitochondrial disorder. 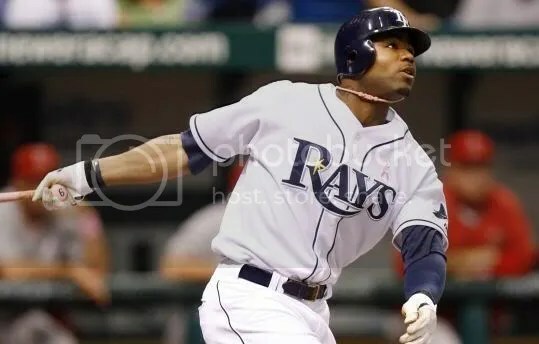 Hopefully he can provide the right-handed bat the Rays have been lacking.